First of all there’s the discovery of my new favourite place, amanzi tea. This is unusual for me as I don’t actually drink regular tea but fruit teas and green tea especially I am partial to. It’s a refreshing little tea shop perfect to catch up with friends and have business meetings whilst enjoying some of the finest green teas. 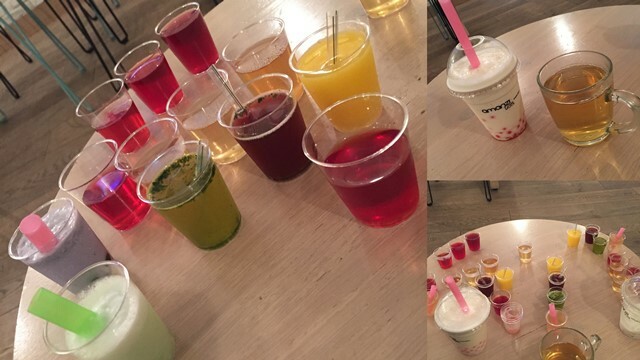 My favourites in particular are the vanilla bubble tea and the pomegranate and lychee fusion tea. All the coloured shots you see in the image above are taster shots of green teas. I never thought I would enjoy tea so much but it’s a lovely experience and I definitely recommend it. You can find amanzi tea just off Marylebone High Street in London and I believe there is one opening soon in Soho. A question I have been asked so much in the last two weeks is what is the best tinted moisturiser to use, which still gives you some coverage but is better than wearing foundation everyday. 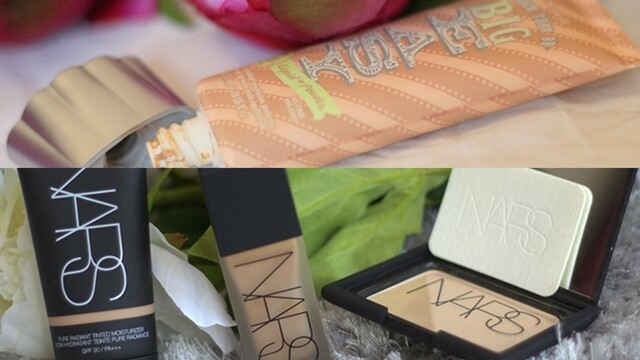 For an everyday tinted moisturiser that evens out your skin-tone and looks natural it has to be the Nars Radiant Tinted Moisturiser, it gives the perfect glow. 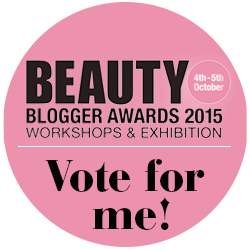 If you want something with a bit more coverage then the Benefit Big Easy BB cream is the one to go for, it self adjusts to your skin tone and has a liquid to powder finish. Both of these have SPF and I love them both. 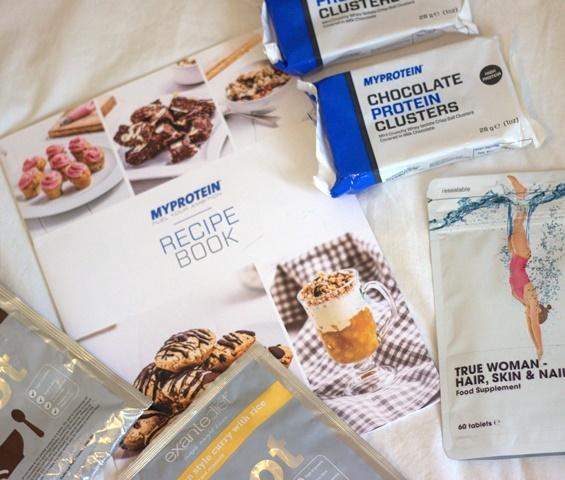 My final discovery is MyProtein, ok so this isn’t a new discovery I always knew it was there but I had this idea that it was only for fitness fanatics. Turns out MyProtein is actually for everyone and has some great health benefits. You are not just limited to protein shakes they have a whole range of snacks, meals and ingredients to create healthy dishes that will give you that energy boost and most importantly the protein we all need. So that’s the word on my street at the moment, what’s yours? Comment below and let me know what you have discovered lately and if there’s anything new you think I need to discover. Don’t forget to check out my latest giveaways, I have vouchers for Cheerz and an outfit from House of Fraser up for grabs!